Founded in 2005 by three former employees of PayPal (Chad Hurley, Steve Chen and Jawed Karim) and soon after acquired by Google for $1.6 billion, YouTube’s ambition nowadays is not only to be a video platform, but a daily destination for its members. According to research on the new generation of YouTube users and consumers, released in 2015 by Google, 67% of members of this community put their photos on the Internet; 85% see what friends and colleagues think before making a decision; 88% have a profile on a social network and 65% update it daily and 91% sleep next to the smartphone. This generation of YouTube users is not just a group defined by age but by attitude toward the world of present possibilities in the online environment. This is the first generation to grow up with the internet, with an expectation of communion and interaction completely different from its predecessors. It is explained by the company with main themes: Curatorship, Connection, Community and Creation. Each of these themes is what a full YouTube user expects to have within his reach at this platform. Curatorship is the personal selection of what they like on the site that can come along with a subsequent share, such as picture their personalities. Connection is a mark of this generation that makes sure that everyone knows everything that goes with them. The smartphone is an extension of what people are and currently 25% of global YouTube views are held on mobile devices. Community is explained through the mass actions of users with joint decisions and interaction between groups with the same interests. Creating accounts on YouTube for example, has doubled every year worldwide and this phenomenon would help explain a meeting and engagement increasing around video ideas. The biggest video site in the world represents a democratization of content production, long controlled only by opinion leader global or national companies. This generation YouTube is a new force in consumer culture because they care too much about creating, managing, connecting and with community. 80% of this generation consists of people of generation Y, the YouTube main target audience (though not the only). A generation of young people who like to communicate through videos on the internet, either to talk about music, to show how to play a game, to teach a recipe or a makeup tutorial. This is a new channel that is here to remain, is the direct competitor of television for young people under 20 years. It's a new kind of settled in the younger generation, but has already conquered the older, too. Today, there are already thousands of channels worldwide. In addition to being a hobby for young people and a way to express themselves, the YouTube video productions has become a profitable business for many in a world that testify the audience of the internet growing every year. The videos are monetized according to the views of appearing ads. However, the owner of a channel only profits if a user actually watch the advertising – which is usually avoided by many, when it appears at the beginning of a video – making it difficult to calculate. But to highlight in the crowd is not easy. Therefore, to help in this task of rise on the web, some companies are starting to invest on a mission to make these young people careers sustainable. They are the networks calls, touting and guiding content producers, giving support and helping channels to have better performance and efficiency. Preparing those fresh YouTube celebrities to walk soon in the red carpet. 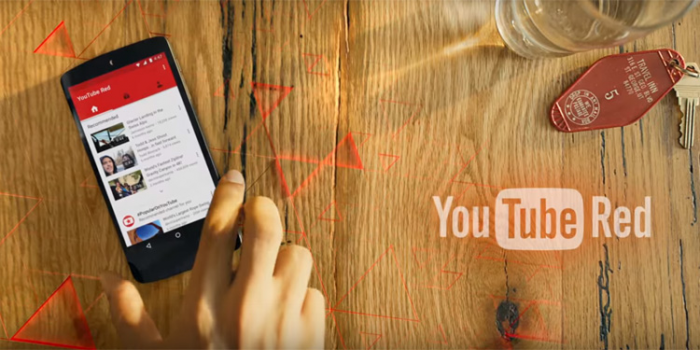 A new video distribution model to the youtubers is the YouTube Red. This YouTube business unity was launched in the fall of 2015 by Google as a paid option – but no ads – to the traditional video site. To watch the videos, you need to pay a monthly fee of $9.99. The value gives access to all videos available on traditional YouTube, even without internet connection, and also exclusive content such as movies and series developed by the most popular youtubers in partnership with Google. Video producers who agree to be part of Red will have their channels hidden among the millions video platforms. The strategy is a way to force the most popular channels to join the novelty, decisive factor in attracting subscribers to Red. With the subscription model, YouTube becomes a video platform more like Netflix, which has already emerged as a paid service. It may take a while for Google to teach users that the internet also needs to be paid. Netflix did not have this hardship and YouTube users will evaluate whether it is worth paying $9.99 for not see a five-second ad. Another important point is that the original contents will have to be as good as Netflix to work. Seen as the main rival of the Red YouTube, Netflix was among the first to bet on a proper content strategy with exclusive TV series and movies. The company, which began in 1997 – when the films sent to subscribers by mail, on DVDs – just reached 74 million users in 50 countries. And plans to launch its service in 200 countries by the end of 2016. Its headquarters is located in Los Gatos, a quiet village 84 km from San Francisco in the U.S. The Netflix decisions are based on 70% data and 30% of intuition, according to the company's own executives. It is estimated that the algorithms governing Netflix undergo at least one change every three days. Most are subtle, caused by so-called A/B testing, in which two groups of up to 400 thousand subscribers each receive unknowingly slightly different interfaces. If one of the groups have an increase in total hours of streaming it is a sign that change worked. Then it is applied to all users. This content is part of Edvaldo`s book “The YouTube Generation in our Amazing Transmedia World”. Buy on Amazon.